All course materials, lunch and two coffee breaks will be provided. A Certificate of Completion will be offered for each class. Novice level. A highly practical course that teaches method-based hacker thinking, skills and techniques. Advanced level. This course is all hack, no talk. Intense course encompassing binary analysis, reverse engineering and bug finding. Essential background material for effective reverse engineering. This course focuses entirely on hardware hacking and techniques to defeat the security of hardware products. This course was designed for students who have a basic understanding of programming as well as more advanced students wishing to apply their knowledge to memory forensics. In this course, participants will gain an in-depth understanding of how cryptographic primitives are constructed and broken. Learn leading network security practices from experts who develop these techniques and put them to practical use. The Exploit Laboratory is an intense hands-on class for those wishing to dive into vulnerability analysis and exploit writing. The course will cover the basics of x86 assembly and pattern recognition, Windows process memory layout, tools of the trade (such as IDA Pro and OllyDbg), the PE file format and basic exploitation methodologies abused by worms to penetrate a target system (stack/heap overflows). Tactical Exploitation with HD Moore by MetaSpolit, LLC. This talk introduces a tactical approach that does not rely on exploiting known vulnerabilities. Using combination of new tools and obscure techniques, I will walk through the process of compromising an organization without the use of normal exploit code. Brand new for 2009, this hands-on, lab-centric class by Richard Bejtlich focuses on collection, detection, escalation, and response for digital intrusions. This course will teach the theory of DNSSEC as required from an operational perspective. It will teach you how to use the available DNSSEC software. How to create and publish a DNSSEC signed domain. And importantly, how to deal with the DNSSEC key management, the core complexity of using DNSSEC. And how to configure DNS resolvers to take advantage of DNSSEC with minimal infrastructure changes. Hotel & Venue information for Black Hat DC 2009 Briefings and Training. 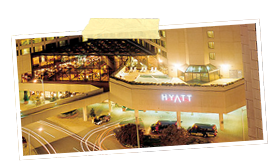 The conference will be held at the Hyatt Regency Crystal City in Arlington, VA.